Everything We Know So Far About STAR WARS: THE FORCE AWAKENS | Warped Factor - Words in the Key of Geek. Star Wars: The Force Awakens arrives in cinemas this December, so we figured rather than posting little bits of news here and there we'd gather up all the info we 'know' and compile it into one handy digest that we'll keep updating between now and then. As ever with these articles there are some possible plot spoilers included so proceed with care. Everything we know as fact will be presented in regular type, anything that's rumoured but looking likely will be written in italics. You'll find links throughout to many original news stories and articles containing further information. The great bearded one has moved on (although he will still be credited as Series Consultant) and instead we have Star Trek/Super 8/Cloverfield director J.J. Abrams behind the camera. He's contributed to the screenplay too, alongside Lawrence Kasdan (who co-wrote the original trilogy films The Empire Strikes Back and Return of the Jedi). Abrams and Kasdan rewrote an initial script by Michael Arndt, who was responsible for the story treatment, and expect George to get another credit for 'Based on characters created by'. In short, George may be gone but his name'll be all over the place. Abrams is also producer for The Force Awakens, with his long-time collaborator Bryan Burk, and Lucasfilm president Kathleen Kennedy. John Williams will return to score the movie, and thankfully the classic Star Wars theme will remain in place - but no 20th Century Fox fanfare before it! As, you likely know, the Star Wars franchise now belongs to Disney now, so expect a Millennium Falcon flying over Cinderella's Castle whilst Steamboat Mickey does his whistling thing, or something like that! ...The feels were strong in that one! 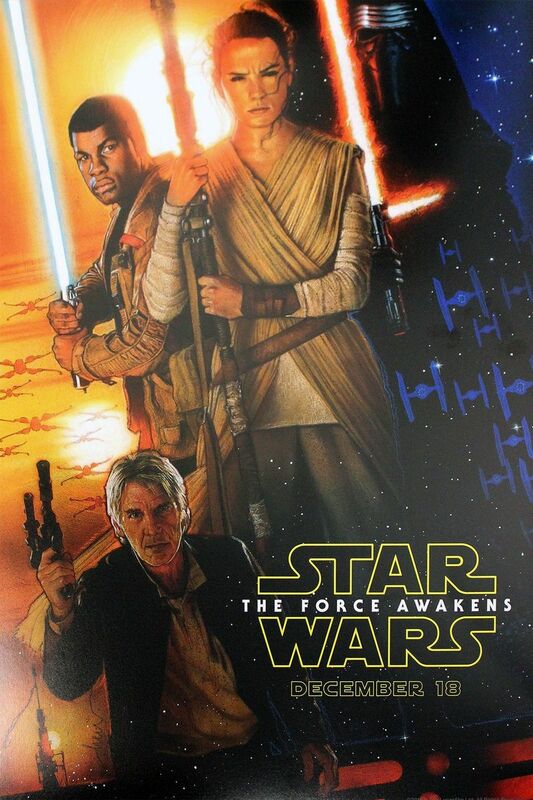 Legendary artist Drew Struzan will design the official poster, something he’s done for the entire franchise. The artwork at the bottom of the page is also by Struzan, and was an exclusive design for this year's D23 Expo. Unless you've been living under a rock on Tatooine you likely know that The Force Awakens will see the return of many Original Trilogy characters, including Mark Hamill (Luke Skywalker), Harrison Ford (Han Solo) and Carrie Fisher (Princess Leia). They will be joined by other Star Wars veterans, including Anthony Daniels (C-3PO), Kenny Baker (R2-D2), Peter Mayhew (Chewbacca), and Warwick Davis (in an unannounced role, likely not Wickett). Amongst the new faces are John Boyega (Finn - who appears to have a journey from Stormtrooper to Jedi), Daisy Ridley (scavenger Rey), Oscar Isaac (X-wing pilot Poe Dameron), Adam Driver (villainous Kylo Ren), Andy Serkis (Supreme Leader Snoke, a CGI character), Gwendoline Christie (Captain Phasma, a chrome trooper who is an officer in the First Order), Lupita Nyong’o (Maz Kanata, a CGI created pirate), Domhnall Gleeson (General Hux, leader of the primary First Order base, Starkiller Base), and Max von Sydow. Additionally we know that Crystal Clarke, Pip Andersen, Christina Chong, Miltos Yerolemou, Greg Grunberg, Billie Lourd, Maisie Richardson-Sellers, Iko Uwais, Yayan Ruhian, Cecep Arif Rahman, Amybeth Hargreaves, Leanne Best, Jessica Henwick, and Simon Pegg all feature in the movie. "I’m going to be in this new Star Wars thing, you know? I’m going down to record some voices for this new character they’ve created for me, very soon." This could possibly be for a different Star Wars movie or maybe Star Wars: Rebels, or it could just as likely be Tom being Tom! 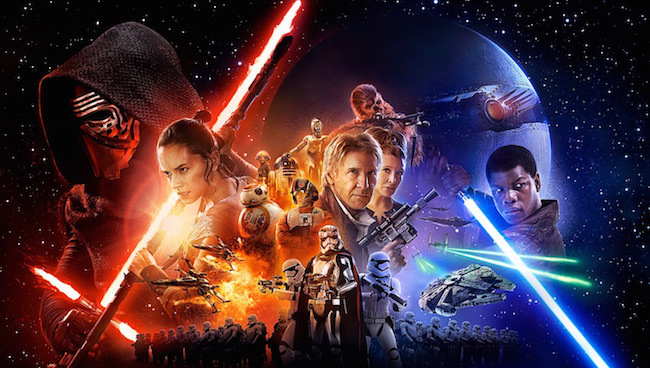 The Force Awakens is set approximately 30 years after the events of Return of the Jedi. Naturally the plot details have been kept quiet, but there have been countless rumours (and more here) going around, some of which J.J. Abrams has hinted are not far from the truth. 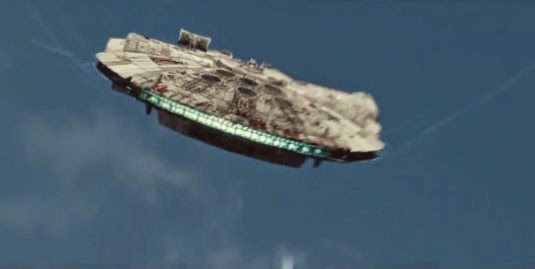 By the way, that’s not Tatooine above, it’s a new sand planet called Jakku. Just so you know. The Empire has morphed into a junta known as The First Order, while X-Wing pilots like Poe Dameron now fly for a splinter group known as the Resistance. Princess Leia has come into possession of the lightsaber once possessed by her father, Darth Vader, and later lost by Luke when Vader separated him from his arm during that “join me” duel in The Empire Strikes Back. The amount of screen time the Skywalker twins may get is still unclear, although Luke’s fate is obviously a key factor. 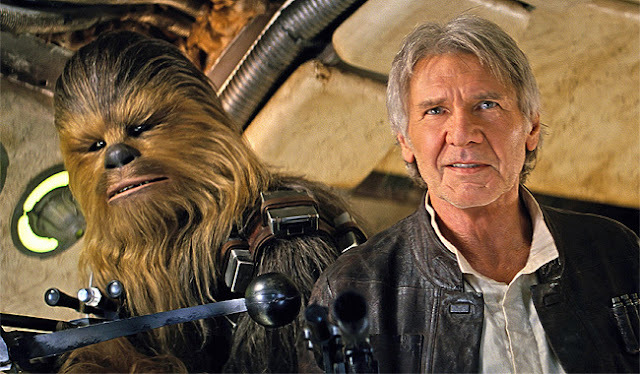 Ford’s Han Solo, however, will be one of the leads, piloting the Millennium Falcon alongside his old pal Chewbacca. Among the newcomers, desert scavenger Rey and runaway stormtrooper Finn will be running for their lives, with the rolling droid BB-8 trying to keep up. Eventually all five of them end up aboard that familiar starship. On Team Dark Side is Darth Vader obsessive Kylo Ren, the First Order’s merciless General Hux, and chrome-armored officer Captain Phasma. "[The First Order] came out of conversations about what would have happened if the Nazis all went to Argentina but then started working together again?’ What could be born of that? 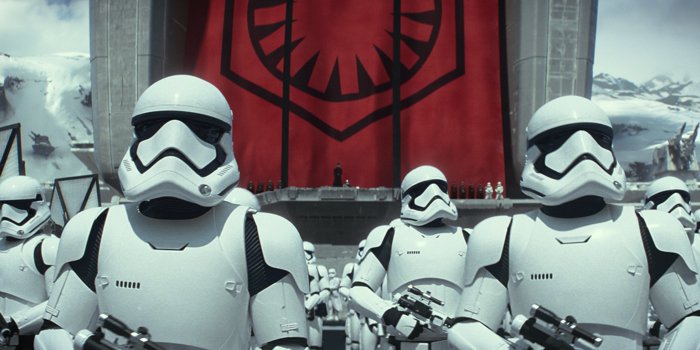 Could The First Order exist as a group that actually admired The Empire? Could the work of The Empire be seen as unfulfilled? And could Vader be a martyr? Could there be a need to see through what didn’t get done?" 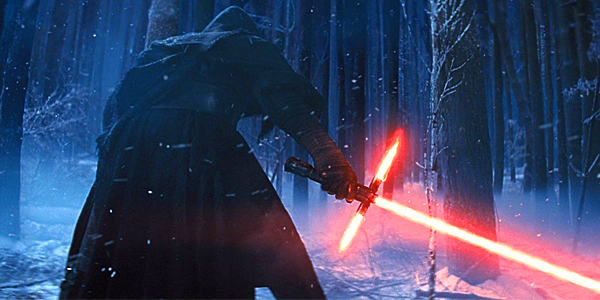 Kylo Ren (which will be revealed as an alias) might be sporting a nifty lightsaber but he is not a Sith. He's a bit obsessed with Darth Vaderc, so much so that he “[modeled] his own helmet on him and [built] his own unique lightsaber”. He works under Supreme Leader Snoke, who is a powerful figure on the Dark Side of the Force. General Hux is “longing to reveal the full might of the First Order’s military power”. It's rumoured that another trailer may arrive October 19th. 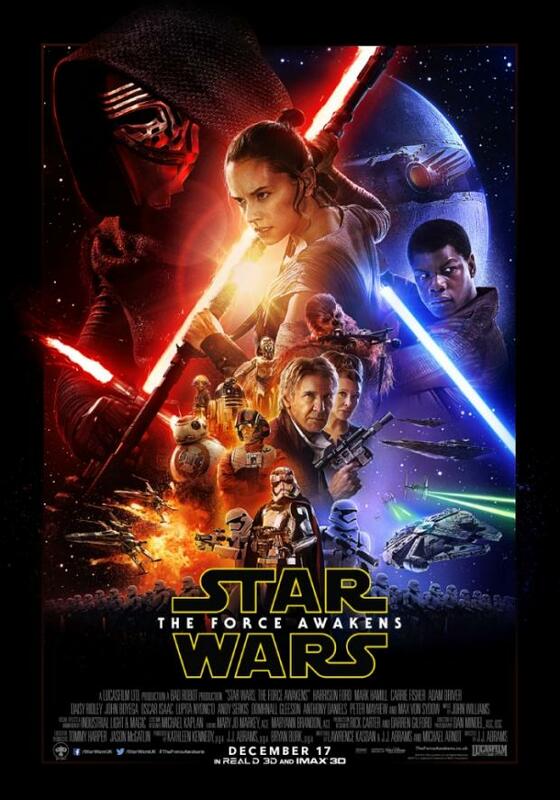 Star Wars: The Force Awakens is scheduled for release on December 17th 2015 in the UK and December 18th 2015 in the US in 2D, 3D, and IMAX 3D. Currently it is said to have a running time of 136 minutes, but that could easily change between now and then. Tickets go on sale from October 20th. Book early! That's everything for now but we will update this page with future Star Wars: The Force Awakens information, and please do comment below on anything important you feel we've missed and should be included.